Take these baby steps to positivity. Most, if not all, women feel the pressure to look perfect—but never give in. You've got to stay strong and stay positive, girl! 1. Start the day on a high note. Be moved by the power of words! Fill a fishing bowl with motivational quotes, and get one slip of paper each morning. Use it to fuel you throughout the day. When you keep yourself in the company of good friends, there's no room for negative vibes. Start a Viber group and chat away when you're feeling the blues! It's good to have reliable cheerleaders in your life—and just a few messages away at that. 3. Look in the mirror and flash your best smile. Feeling great about yourself starts with you acknowledging your greatest assets. Instead of dwelling on your less attractive features, zoom in on the things you love about your face and body. That hair, those eyes, those curves? We're sure somebody else loves these things about you, too! 4. Invest in clothes and accessories you feel good in. These could be a figure-hugging dress, comfy (and flattering!) jeans, a pair of dangling earrings, and your favorite red heels. Whatever the item may be, if it makes you feel good about yourself, it's worth every centavo. 5. Get those endorphins flowing. For as little as five minutes a day, get your body moving and sweat it out for some feel-good endorphins. Your mind and body will thank you for it. And you'll love seeing that fresh glow in the mirror. It's all about making good food choices, not depriving yourself. Running on empty isn't the way to go. Instead, choose to feed yourself right—start with small diet changes. How about resolving not to skip breakfast despite your hectic schedule? Yes, it's possible! Start your day right with a good breakfast that's also easy to prepare. Try putting whole (grains) in your bowl: whole grain cereals, brown rice, oats, and more. Whole grain foods contain fiber, vitamins, and minerals—just some of the good stuff you need to be body positive. Let go of the negativity that holds you back from your unleashing your full potential—eat positive, act positive, and think positive. 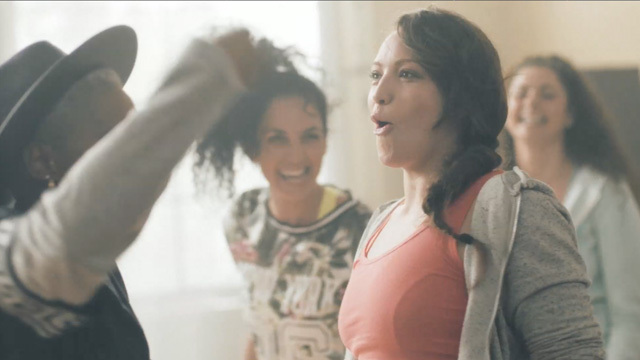 Join Mission Body Positive by NESTLÉ FITNESSE to get you started on your journey to feeling better about yourself and your body, whatever your age or size. Your positive lifestyle starts today. Get more tips on how to be body positive here. This article was created by Summit Storylabs in partnership with Nestle Fitnesse.